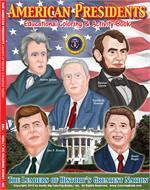 Our Coloring and Activity Books are manufactured in the United States of America. This is where you can sell your own coloring book, from 1 copy to 1 million. Our company will provide editors, writers, artists... whatever it takes to help you publish or make a coloring book! 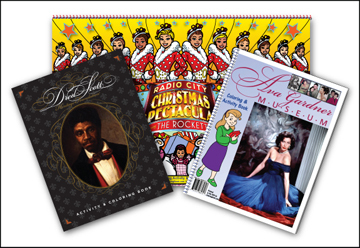 Coloring Book Publishers offers a wide selection of coloring books in a variety of subjects and themes. 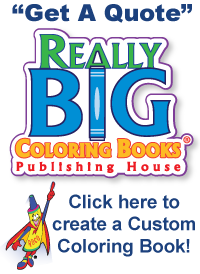 The sizes of our coloring books range from our Really Big Coloring Books® that measure 17" x 23" to our smaller Travel Tablet Coloring Books® which are 5.5" x 8.5". You choose the topic and we will develop your new custom coloring book! 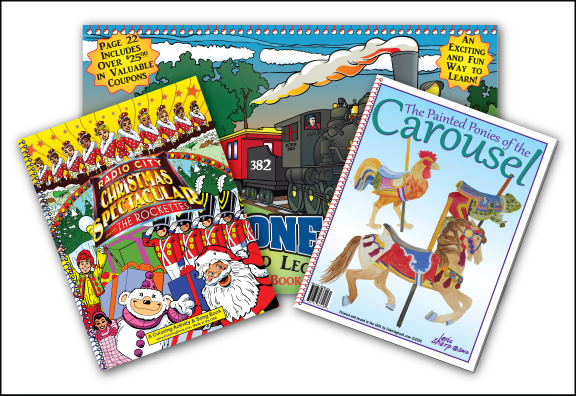 We can help your group, organization or company promote, publish and even sell a custom coloring book! We offer to sell your book on our site as well. Have your own custom coloring book or in the process of creating one? You can sell it here. Do you have a coloring book in print? We are the World's Coloring (Colouring) Book Source! This is the World's Coloring Book Source where we invite editors, artists, teachers, parents & students to participate in the publishing of coloring books. 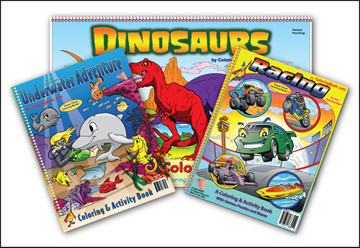 We Create, Design, Publish, manufacture and Sell different types of Coloring & Activity Books for Businesses, Schools, Groups, Individuals & the Government.